Find the best value Anniversary Cards Online from greatestgifts.co.uk. Simply click on "Go To Shop" for more fantastic card offers. A wedding is usually a day that the happy couple will never forget and the sending of Anniversary greeting cards has become part of the great tradition in the UK and here at Greatest Gifts we have made it so easy to buy anniversary cards online. These days the choice is huge and the popularity of personalised anniversary cards UK has made this choice much more interesting and fun. You can even upload photos of your choice to appear on the front of the card to enable you to send a unique anniversary card message to delight the happy couple on their big date to remember. 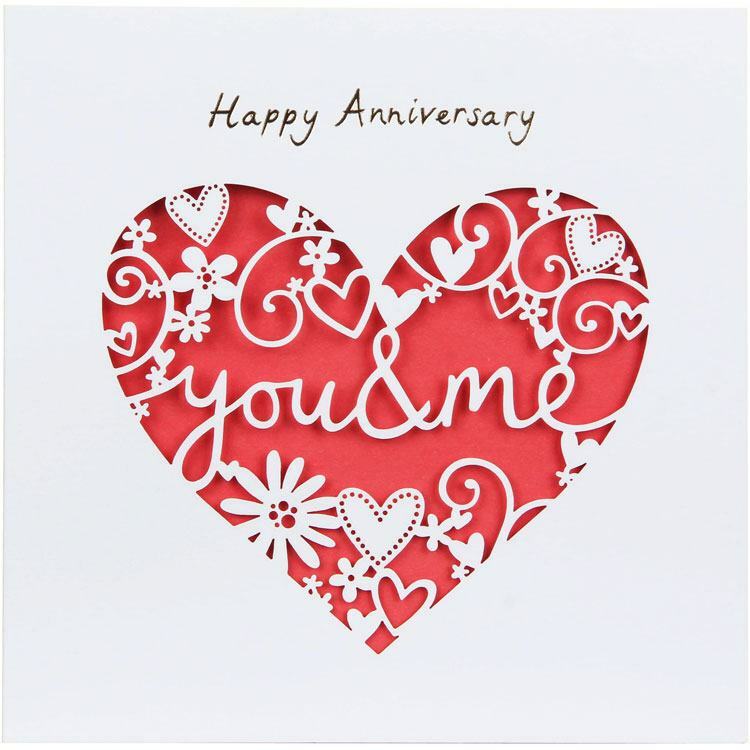 Have a look at our range of anniversary cards UK and compare all the fantastic offers to get the lowest price and best deals around on traditional and personalised wedding anniversary cards for parents, him, her and lots more besides. Many people give particular gifts in accordance with the well-known wedding anniversaries. Gifts change from country to country, although particular years have well known links now common to many countries: 5th Wooden, 10th Tin, 15th Crystal, 20th China, 25th Silver, 30thPearl, 40th Ruby, 50th Golden, 60th Diamond. However, over time the symbols have changed. In the United Kingdom, The 75th anniversary was well connected with the giving of diamonds but this has now changed to the 60th wedding anniversary after Queen Victoria's 60 years being associated with the Diamond Jubilee. Today's gifts connections date back to 1937. Before this, only the 1st, 5th, 10th, 15th, 20th, 25th, 50th, and 75th anniversaries had a related gift. Then in 1937, the American National Retail Jeweller introduced an extended list of gifts. The new list assigned a gift for each year up to the 20th anniversary, and then for every fifth anniversary after that. Finding that perfect traditional anniversary gift and card can be hard, hopefully our guide will make your search that little bit easier. 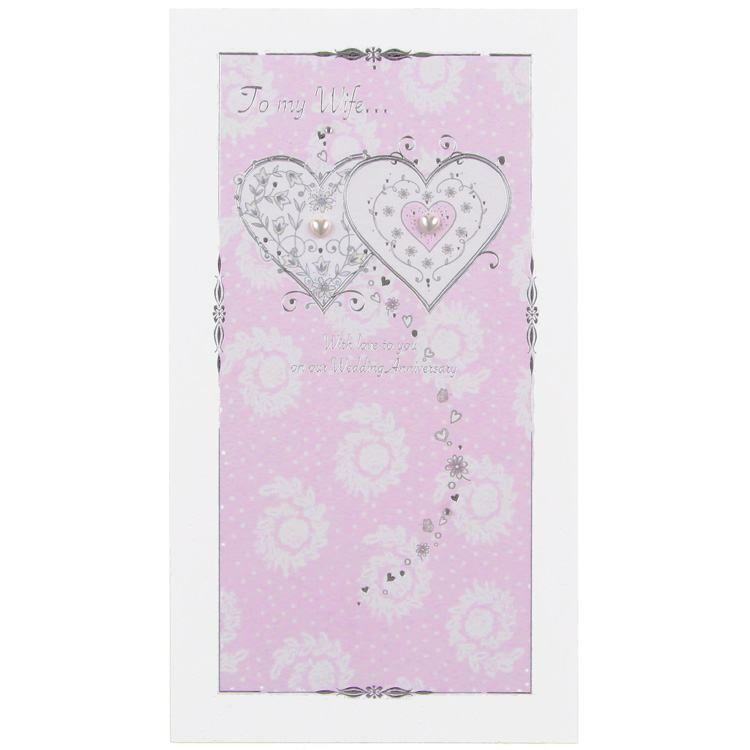 Get many great offers on low priced Personalised Anniversary Cards Online from leading UK retailers, compare all the prices and get the best deals. Anniversary presents for each year.